Digital printing technology has come on leaps and bounds in recent years. The state-of-the-art HP Indigo Digital Press at Ashley House opens up a world of new possibilities for creative use of print. Read our latest blog to find out more. For many years, the choice of printing format was straight-forward: For large print runs, litho printing offered great quality results, a wide range of paper and card stocks, and excellent economies of scale. For small print runs, digital printing offered reasonable quality results, a somewhat limited range of stocks, and good value for small quantities. With the arrival of the HP Indigo Digital Press, however, the print rule-book has been torn up. The HP Indigo introduces an entirely unique way to apply its Electroink to paper, resulting in unrivalled speed and colour reproduction with outstanding vibrancy on a wide range of paper and card stocks. This means that companies wanting to produce short-run projects no longer have to sacrifice the quality of the results to keep costs down. The ability to produce stunning colours on a wide range of stock, and for any quantity, really does open up vast possibilities for creative marketing using the HP Indigo at Ashley House. We have shared some of our top uses for this machine below, but we’d love to hear what uses you can come up with for it. The ability to print on a wide range of card and paper stocks and to create vibrant colours on short-run printing makes the HP Indigo the perfect choice for creating unique greetings cards and postcards. What a great way to make an impact! Author Jodi Picoult once said that “Everyone has a book inside of them - but it doesn't do any good until you pry it out.”. With the HP Indigo Digital Press at Ashley House, the opportunity to create the next masterpiece has never been so within reach. With the ability to print any quantity, a wide range of paper types, bindings and covers, it has never been easier to create a unique, timeless and beautiful book. If you or a loved one has created a novel, series of art prints, or even a collection of cherished recipes, we think that turning it into a stunning hardback book would make a gift that would never be forgotten. The team of experts at Ashley House would be delighted to talk you through your options for creating one-off or limited edition books. The ability to personalise printed materials is one of the great benefits of digital printing. Invitations are a perfect example of using personalised print. 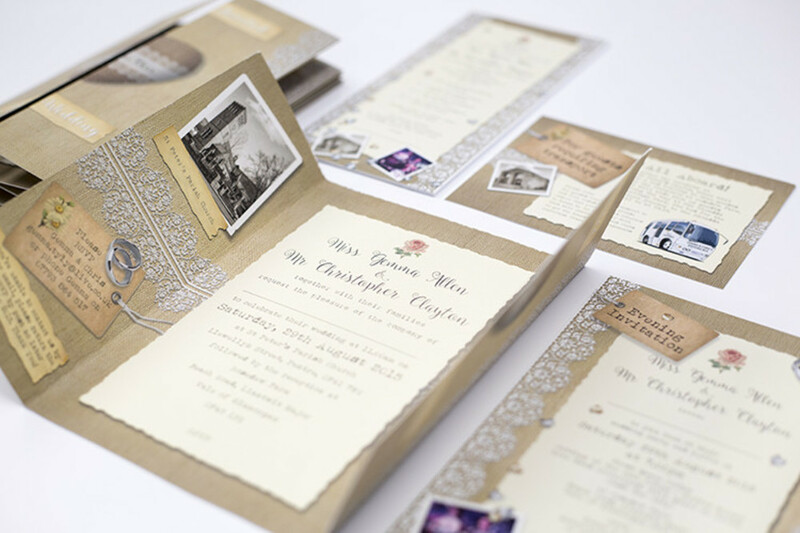 What better way to mark life’s great events than a stunning printed invitation? The team of experts at Ashley House are on-hand to help customers select from the vast range of paper and card available, as well as to choose matching envelopes to create the perfect impression. Traditionally, brochures have been mass produced once a year and designed to suit all purposes. With the advent of quality digital presses, it is now possible to create stunning brochures in a cost effective manner in much smaller quantities. This means that the content is never out of date, and can be produced for targeted audiences or events. Say goodbye to the days of guessing the quantities of brochures you’ll need a year in advance! We'd love to hear your ideas for creative use of our Digital Press. If you’d like to talk to us about your next project, call us on 01392 20 23 20.